October is a funny month: memories of summer holidays are fading, the evenings are getting darker, there's a chill in the air, and yet, we're not quite ready to sing Christmas carols. Thankfully, Ray D’Arcy has come up with a simple yet effective solution to our Autumnal angst. It all started when Tom, a listener of the show, e-mailed in to pose a question – what if, for one-week, clubs throw open their doors to everyone? The aim of this ‘welcome week’ is to encourage people to try out something new, without the pressure to sign up or set up an initial meeting. That way, you can test out as many as you want during the week and hopefully one will stick with you! We caught up with Ray to find out more about the initiative. What is 'Join a Club' Week? ‘Join a Club week’ is sort of like a national freshers week. Next week (it starts on the 22nd of October) clubs all over Ireland are throwing open their doors to everyone. What we’re looking for right now is clubs to sign up, so far we’ve had bridge clubs, running clubs, camera clubs, zumba, underwater hockey, dodgeball, archery, drama, astronomy, choirs and loads more apply but we want as many as possible. All your club has to do is pick one day during the 'Join a Club Week' where anyone can come along at a certain time to give your activity a try. It’s all to encourage people to get out and try something new, without the pressure to sign up or set up an initial meeting. It’s intimidating to show up on your own and I want it to be a little bit easier to engage in something that interests you. I want clubs to sign up at - rte.ie/clubweek, there’s a poster there that you can stick up so people know about your event. There’s also a map of Ireland which shows you what is going on in each county if you want to go along to a club event. 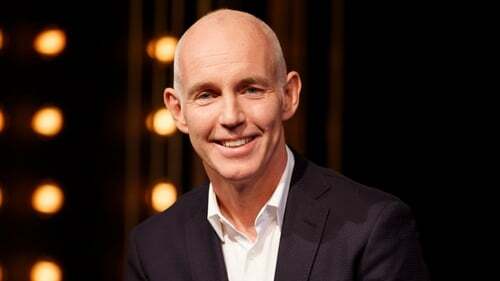 The Ray D’Arcy show will also be having a special programme live on the Wednesday of that week to celebrate ‘Join a Club Week’. For more information, click here.